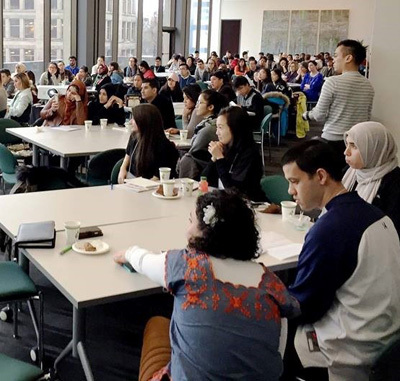 Over 200 youth from across British Columbia attended the Fresh Voices Forum on December 4th and 5th, 2016. The 2016 Fresh Voices Forum Report details the key priorities and messages that came out of the forum. These include the top ten priorities identified by forum participants, along with insights on topics such as the relationship between migration and the education system, recognizing diversity within diverse communities, and combating Islamophobia and anti-Black racism. The key recommendations that came out of the forum relate to, among other things, family reunification processes, anti-racism and cultural awareness education, and greater peer-to-peer support opportunities. Download the report for the full list of recommendations.